A Property History search allows you to search for a property to find out its’ history of when, if ever, that property had been listed for sale in the MLS. The history report tracks the actions of a listing from its’ initial input into the system through the listing “life cycle” to when it goes off market. 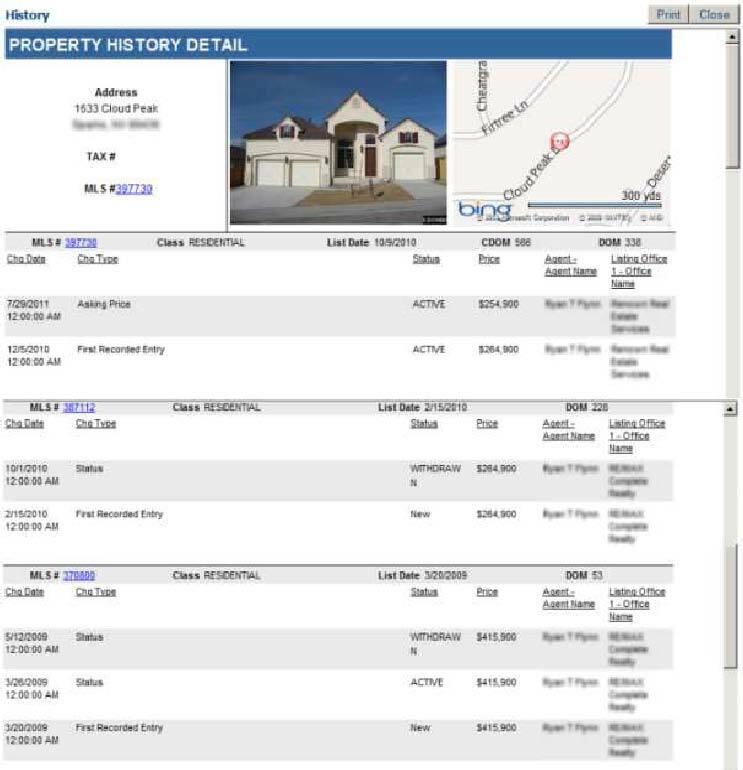 It shows the different times the property has been listed. The report shows changes to the listing such as price changes, status changes, and most other changes. It gives the date/time of input, changes, and off market. Who has/had it listed, Broker and Agent. The property history report is not tied to a listing number but to the property’s’ unique identifier like an address, tax ID number, or parcel number. The report will bring up a property if it was on the market several years ago or several months ago, even with different MLS numbers. You can search by an MLS number and it will report all instances of that particular property via the unique identifier just mentioned. To start a property search, click on Search, then in the control panel click on Property History. 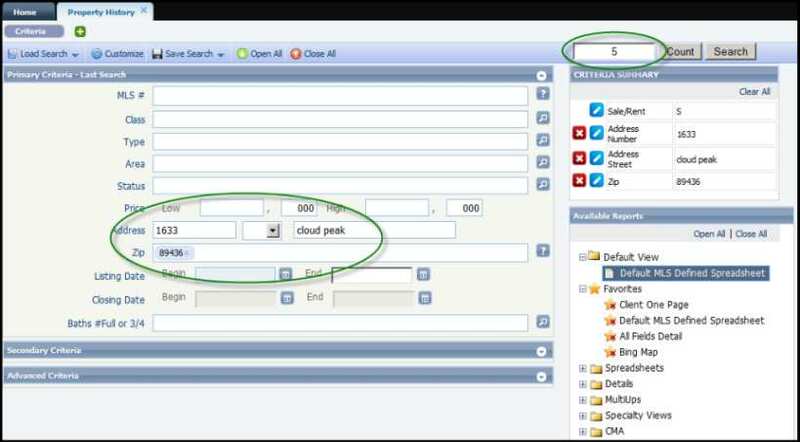 A Property History search screen will open with the typical search fields used throughout Paragon. When you search using an address, parcel number, or tax ID, it is possible that you could get multiple results, as the system will look for all instances that that particular unique identifier was on the market. In addition, it is very possible that that property could have been on the market multiple times and with different Brokers/Agents listing it. 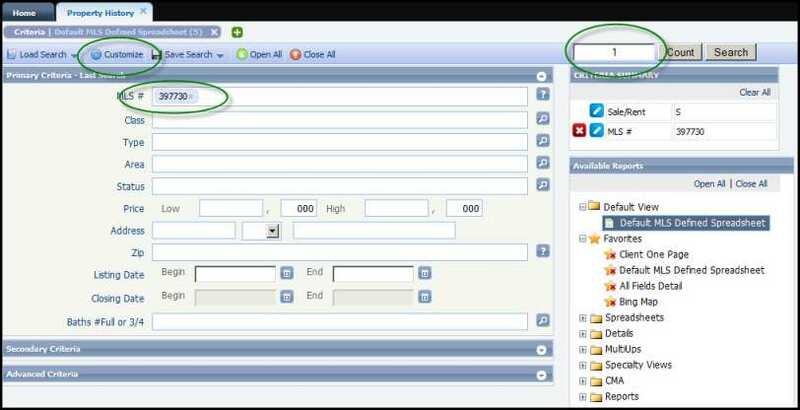 If you don’t see the field you need to search by, remember to look in the Customize tool to add your field to the search template. In this example, I have placed the MLS # in the box. Result is one. In this next search example, I am using the address of the same MLS numbered property and it returns five (5) results in the count field. Remember there could be a “Lane”, “Drive”, or “Ave” that the address search might find. Sort out the one you need from the spreadsheet after searching. The first search with the MLS number is the most recent MLS number for the same property I used in the address search in the second example. Logically, if you use an MLS number, it will search for the one number and show the count result as one. However, using the address will show all the results of that address property search of when it was on the MLS, even at different times and different MLS numbers. Either way, the history report for each search will show the same results.